Being a working mum is a tough job, and you know this better than anyone. Not only you’re likely to spend more time doing unpaid care work – housekeeping, childcare and elderly care – in comparison to your partner, you’re also paid less over the course of your career. Juggling duties is a big task that you took head-on, out of pure love and sense of responsibility. Taking care of family members while maintaining a successful career makes you feel proud and accomplished. Yet, there is a huge side-effect from these selfless actions. If you spend all your time taking care of other people, who are taking care of your future? Working mums – it doesn’t matter whether you are still in your 20s or close to retirement age – let’s talk about your retirement and how to do it right. Here is a checklist of things you must know about retirement planning in Singapore. The first point in this checklist is the most important one. 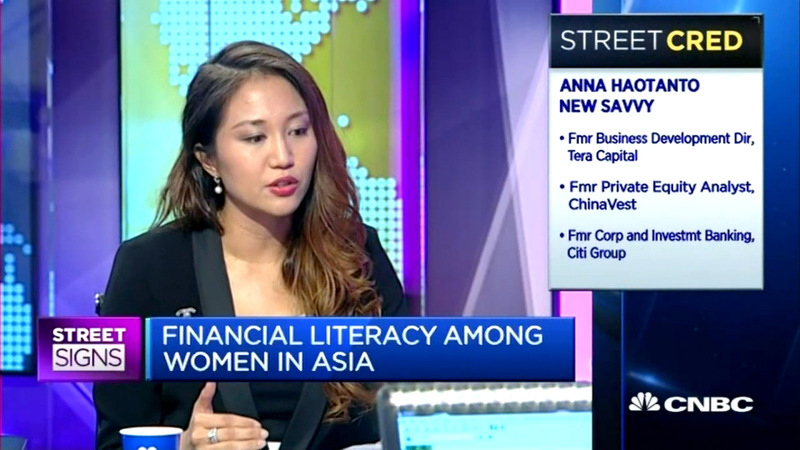 Too often, due to cultural, religious and gender norms, many women leave financial matters to husbands or male relatives. During difficult and significant life events – such as death/disability of a partner, or a divorce – the same women might find it hard to cope with financial matters amid emotional stress. If you have been out of the loop in your family’s financial matters, here are some questions you can ask to be more involved. Then you’ll be in better position to plan your retirement. What assets does your family have? In whose names are they allocated to? Has he taken any loans? Which ones, and what are their interest rates like? Does he have a strong payment plan in place to pay off the debt? Have they done a will? Is it updated? What expenses are made monthly? Annually? The above are not comprehensive questions to ask; every family is different. For a personalised assessment, consult a financial advisor. It’s hard to know exactly how much you’ll need for your retirement, but you should have a number as a starting point. About half of Singaporeans who are aged 65 today are expected to live beyond 85. Taking this into account, if you retire at 62, which is the minimum retirement age in Singapore (re-employment age is up to 67 years old), then you’ll need to budget for at least 20 years’ worth of living expenses. An easy way to start this process is to use the CPF retirement estimator tool. It can calculate how much you need to retire, taking into account the rate of inflation. You can also use the CPF LIFE Payout Estimator. People under this annuity scheme will receive lifelong monthly payouts as soon as they are eligible. 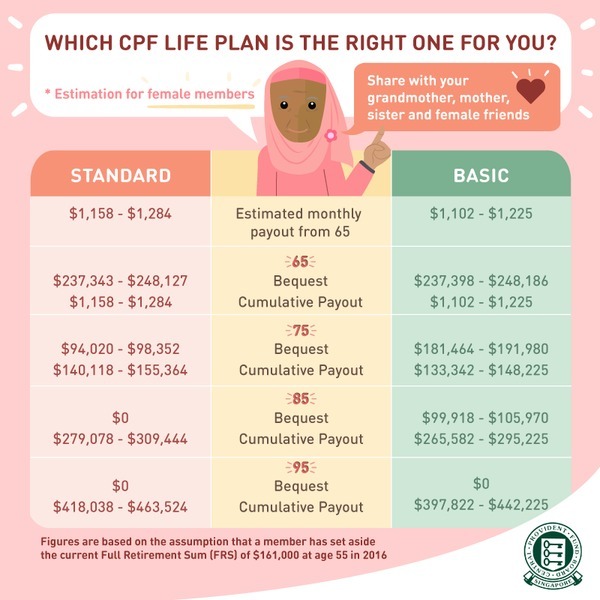 There are two CPF LIFE plans – Standard and Basic. 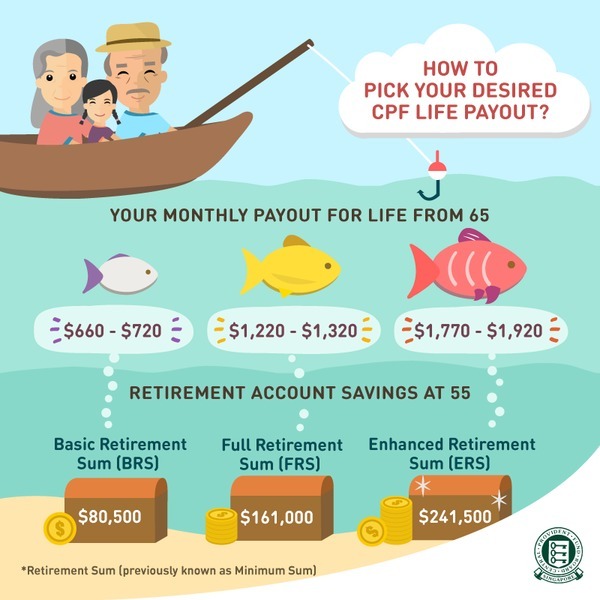 To help in this process, check out some CPF LIFE infographics by the CPF Board below. You can also view them on Facebook here and here. To ensure a smooth transfer of your CPF savings to your dependants, get your CPF nominations sorted out as soon as possible. This is especially true for working mums who are also primary or sole breadwinners in their families (shout out to single mums, mums caring for disabled/bedridden partners, and mums with househusbands). If you have made nominations, ensure the names and percentage of CPF savings they will receive is up-to-date. You can check the nomination status online, and retrieve the nomination form from this link. If you are the legal owner of an HDB flat and paying via CPF instalments, ensure that your Home Protection Scheme (HPS) is in order. This will protect your family members against losing their home, in the event of death, terminal illness or total permanent disability. In addition to the above, it’s a good idea to take extra steps for your future health care plan. For example, you can take into account hereditary diseases that run in your family, if any, and do a brief calculation of the direct and indirect costs you may need. This way you will have ample time to prepare for additional insurance plans and health arrangements. Three out of four elderly job seekers look for work for financial reasons, according to the National Survey of Senior Citizens 2011 (page vi-viii). Close to half of the same group admitted to facing financial difficulties. As the saying goes, ‘Trust in God, but tie your camel’. You might hope that your children will be able to provide for you in old age but make arrangements anyway. This is why monthly payments via CPF is a good foundation to start with. You can add more passive income streams to CPF payouts if you wish. There are many types to choose from, depending on your risk profiles and own interest. For some, passive income through the property (either real estate or REITs) is an attractive option. For others, low-risk bonds or mutual funds are the way to go. Whichever you decide, be sure to stay away from investments promising unrealistically high returns. Unfortunately, there are plenty of people who prey on older folks and got them involved in high-yield investment programmes (HYIPs) which can drain entire life savings. 6. Keep mentally and physically healthy! Mental and physical health deteriorates with age. We’re here to let you know that ageing gracefully is a choice, not luck. Women who keep their brains and bodies active have a more fulfilling retirement, simply because they can enjoy it to the fullest! If you have unhealthy habits – you know what they are, you’ve repeated them to your children countless times, and you know it – it’s time to do something about it. A fulfilling retirement means different things to different women. Some of you may want to make that religious pilgrimage finally. Some of you want to polish your green thumbs and do more gardening. Some of you might even want to continue working because you enjoy it too much to stop! Regardless of what you find fulfilling, we can all agree on one thing – having enough money helps. We think that working mums like yourself deserve to retire comfortably after a lifetime of hard work. Use the checklist above, avoid these common retirement-planning mistakes, and make regular savings and safe investments – these are all you need. 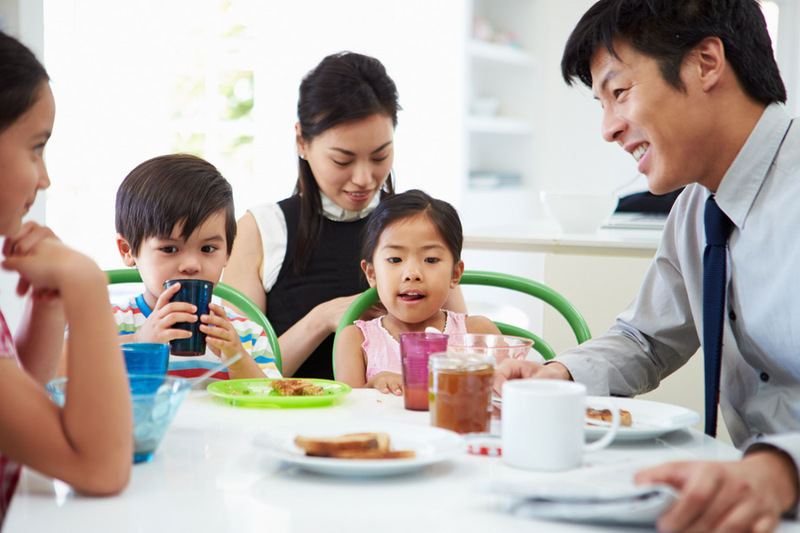 Your children (who, according to research, are likely to be more successful) and dependants will be thankful that you put these arrangements in place. Next articleCould Unemployment Insurance in Singapore Increase the Fertility Rate?